Like you needed further proof that Android is taking over right? After posting data over the weekend which showed the Android OS officially dominating the world, we now have more information pointing out the exponential growth of the app market. 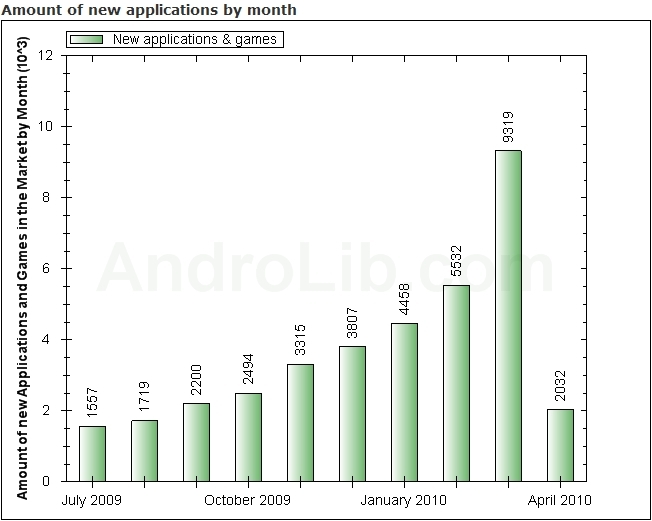 9,300 apps added in 1 month and another 2,000 through 7 days in April? Wow. Droid 2.1 Update Rollout Ends Tomorrow?